The AP602 comprises of a small size and lightweight white and pink noise generator, 1/3-octave band graphic equalizer and a power amplifier. Thanks to its noise generator output and the signal input, the AP602 allows equalizing and amplification of a signal coming from an external noise generator or by inserting additional signal processing equipments in the reproduction chain. The AP602 can be operated directly from the keyboard, through a MA001 remote control (with AN001 antenna) or by a PC with the included software. 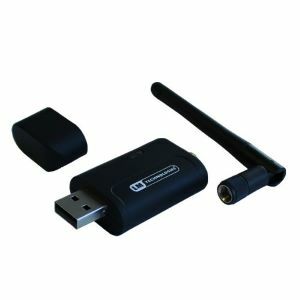 This communication with the PC can be done through USB cable or through type 1 included Bluetooth® wireless technology, with up to 80 meters coverage. 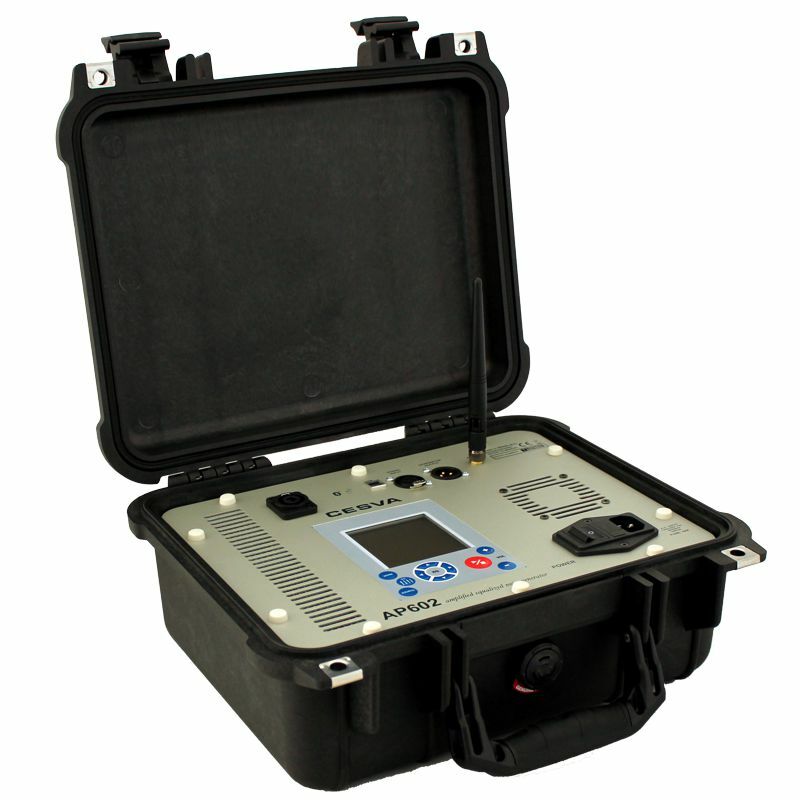 Additionally, the forced ventilation cooling system of the AP602 is efficient for the background noise measurements. 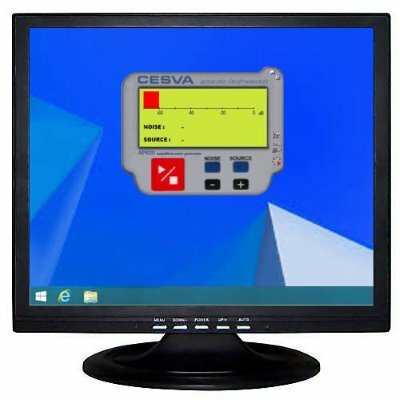 SF600 is a software application designed for controlling the CESVA AP600, AP601 and AP602 noise generator, the remote control can be done via a serial cable or via a wireless connection. 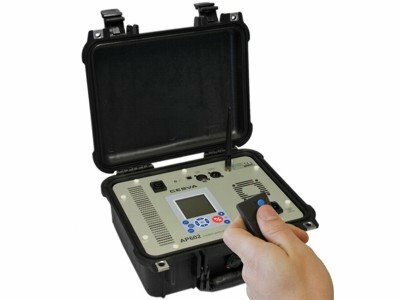 SF600 is a software application designed for controlling the CESVA AP600, AP601 and AP602 noise generator; the remote control can be used via a serial cable or via a wireless connection. 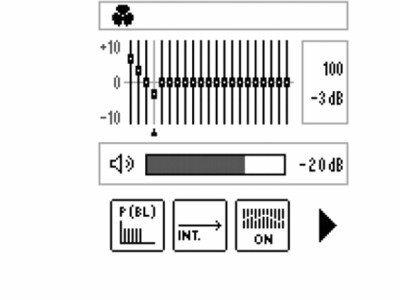 The SF600 application environment allows you to select the noise type to be reproduced (white/pink) and also to select the noise source (internal/external). Furthermore, the application allows you to increase or decrease the volume and start or stop the noise reproduction. All these operations are in real-time. Bluetooth device for Wireless communications (for PC).